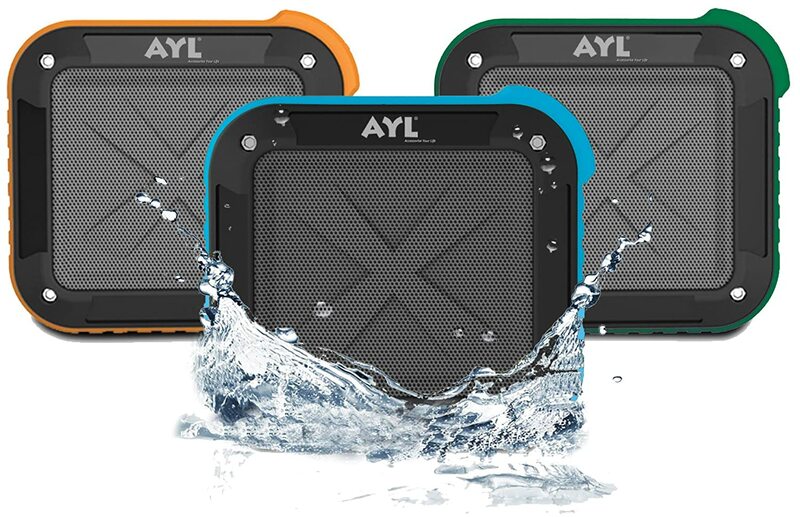 I've been looking for a good quality Bluetooth speaker and the Portable Outdoor Shower Bluetooth 4.0 Speaker by AYL Soundfit is perfect for my needs. This powerful 5 watt speaker was easy to pair with several different cellphones and my tablet. I can now stream my music wirelessly wherever I am, and because it is waterproof, I can take it in the shower, rain or other wet conditions. I will be using this a lot during the summer for our river trips because I won't have to worry about the speaker getting damaged from the moisture. It is easy to use this wirelessly via Bluetooth, and there is also a 3.5 mm cable for connecting other devices that may not be Bluetooth compatible. It also comes with a micro USB charging cable, making it easy to charge to it is always ready when I need it. I love that it is rechargeable so I don't need to waste money on extra batteries for this. According to the manufacturer, this has a 10 hour battery life. I can't vouch for that since I haven't used it for 10 hours straight yet, but it came charged and I know it lasted for several hours of listening straight out of the box. The sound quality of this little speaker is wonderful too, with such a big sound for such a small speaker. I am very impressed with this speaker and would gladly recommend it to anyone who is in need of a portable speaker, and especially to those who my be in need of a waterproof speaker whether for showering, water sports, or any other needs.